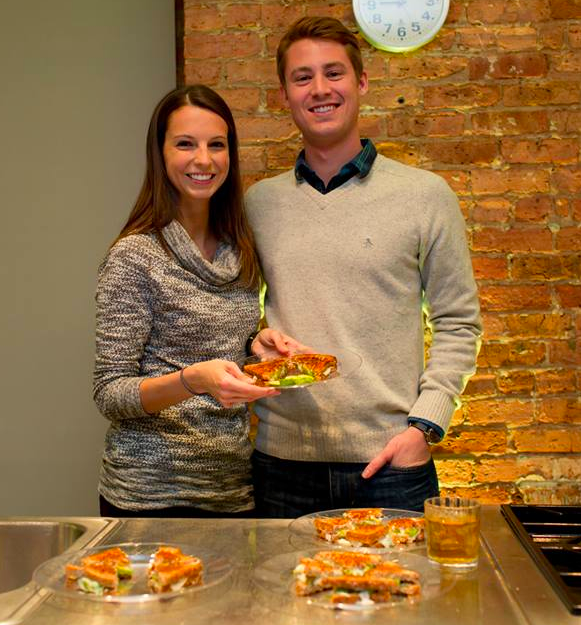 My friends in Chicago hold an annual grilled cheese competition and I decided to join this year and show everyone that grilled cheese can be healthy too! 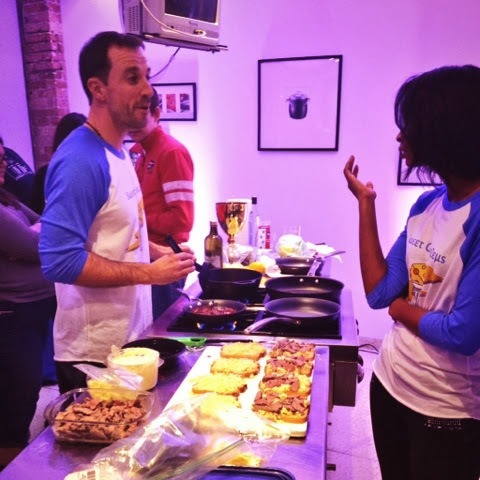 The Fifth Annual Chicago Grilled Cheese Competition was held at the Cephalon test kitchen and judged by Toasty Cheese, a grilled cheese food truck in Chicago. The winner gets their sandwich on the truck menu for a year! 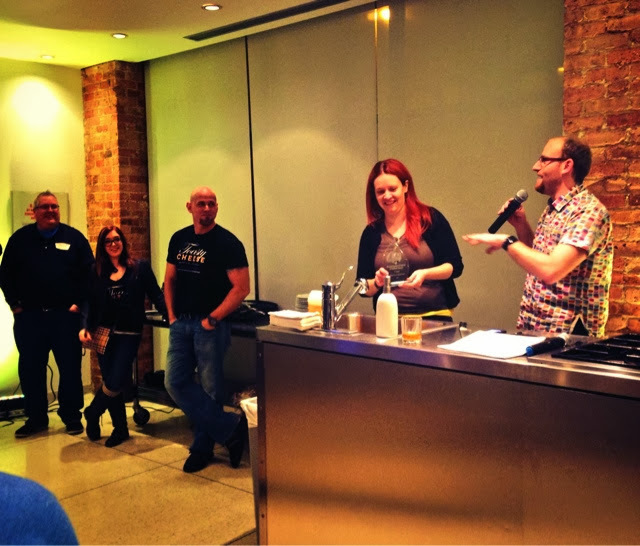 Hosts Ken and Elena (right) kicking off the competition. Judges from Toasty Cheese on the left. There's Ryan, the other member of my "Grilled Cheese-less" team! His job was butter, lots of vegan butter. Place large pan over medium-low heat. 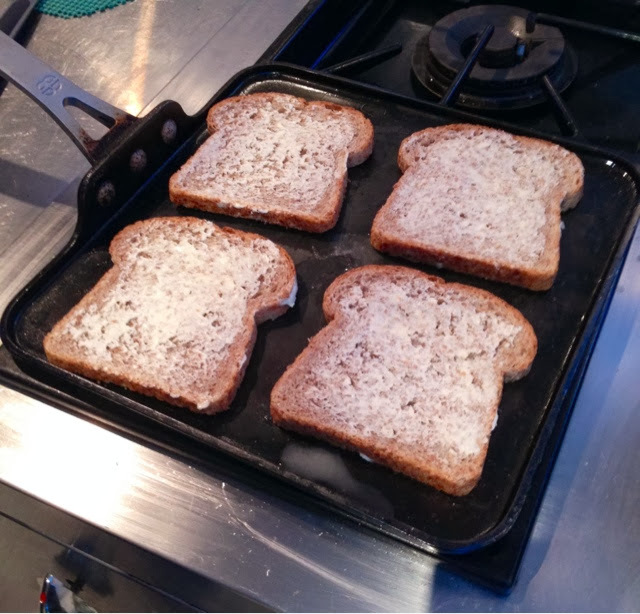 Spread butter on both sides of each piece of bread. Place slices on pan and sauté until butter starts to melt. Flip slices and place one piece of cheese on each slice. Once cheese starts to melt. 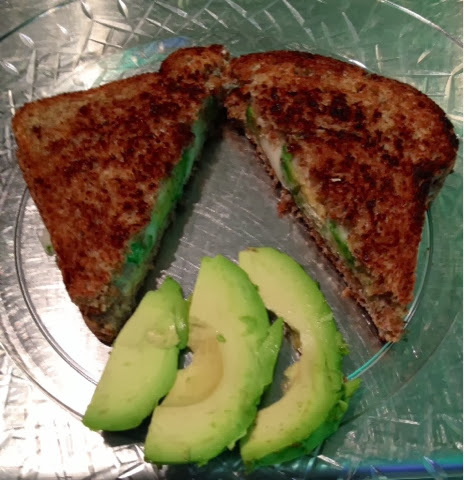 Place 3-4 slices of avocado on one slice of the bread/cheese. Place the other slice of bread/cheese on top to make the sandwich. Cook for a couple more minutes, flipping and adding more butter as necessary. Remove from heat once cheese is melted through and bread is a medium brown color. Wait a minute to cool and then cut sandwich in half. Serve with extra avocado. 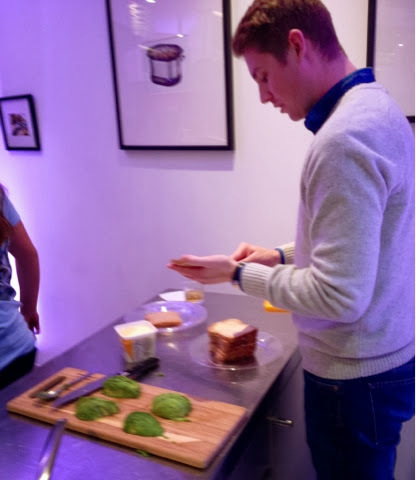 Grilled Cheese-Less did not win the competition but I think we showed everyone that this sandwich can be made healthy and a dairy-free! I received great compliments from the judges and it was a fun time. You all should participate next year! 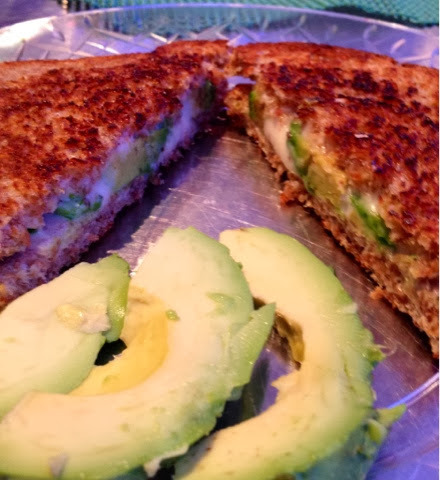 What are your secret ingredients for a perfect grilled cheese? Have you even entered a cooking competition? How fun! Avocado makes anything great in my opinion. Good choice!